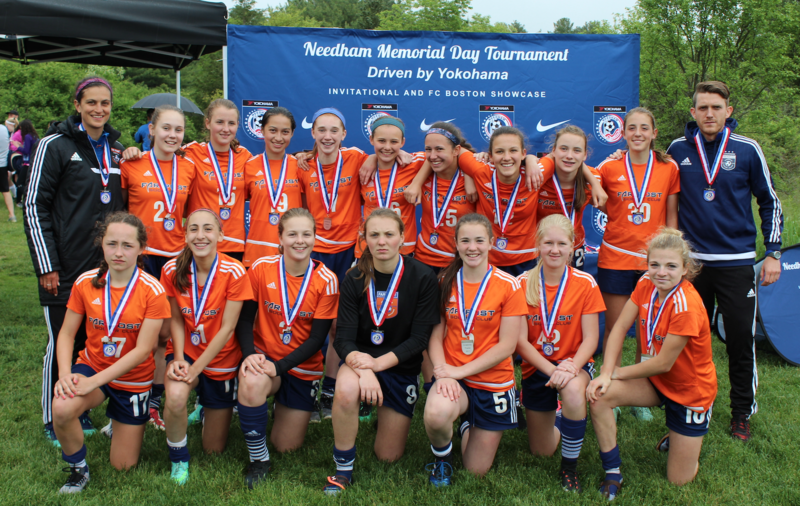 Far Post Teams Excel at Needham Memorial Day Tournament | Far Post Soccer Club, Inc.
Far Post sent 17 teams to the Needham Memorial Day Tournament & College Showcase, while all four U10 Teams went to the Wellesley Invitational. From 21 teams, we had 5 teams advance to Championship Monday: 2 finalists and 3 semi-finalists. 3 teams missed out on advancing on the tie-breaker. 2006 Girls Premier went 4-1 on the weekend, losing in the final to a physical NEFC team. 2003 Girls Premier went 4-1, losing 1-0 in double overtime to Ginga from CT. Our girls from Far Post were dominant, but couldn't find a way to score. Congratulations to all of our teams! We're very proud of you.